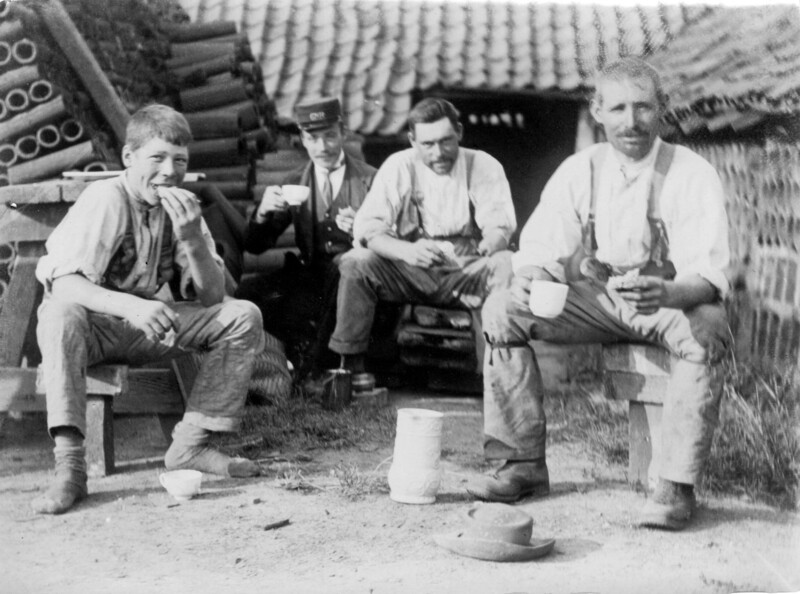 Lunchtime at Challand's brickyard, Bottesford. We are building an archive of changes in the villages of Bottesford and Muston, and their surroundings within living memory and earlier. Photographs, documents, oral history and artifacts all play a part. Memories, stories, life and family histories, together with maps, censuses, trade directories, friendly society records, etc. The archive is accessed via our interactive website, exhibitions, meetings and copies in paper and CD/DVD formats that will be provided to local libraries and schools. The project is open to all members of the community and to new ideas and contributions. We are supported by grants and funds from the Heritage Lottery Fund, Nationwide Building Society, MLA East Midlands and Melton Borough Council.